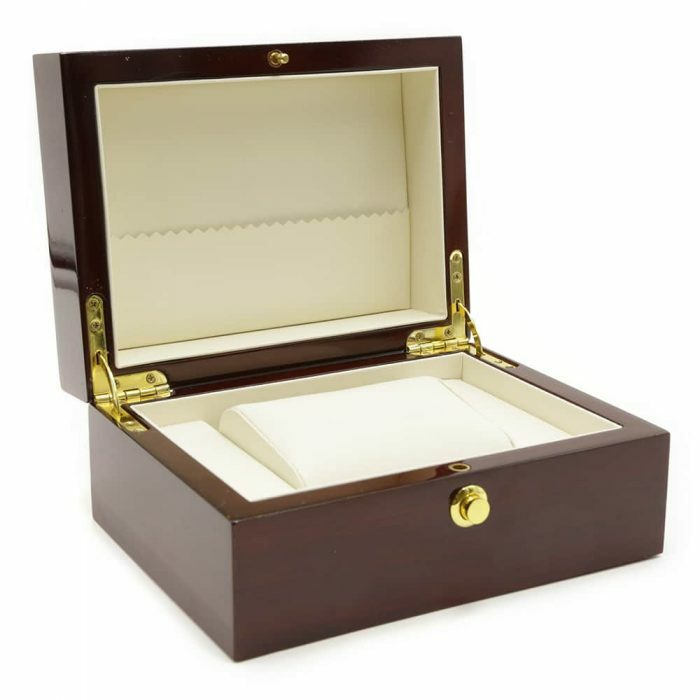 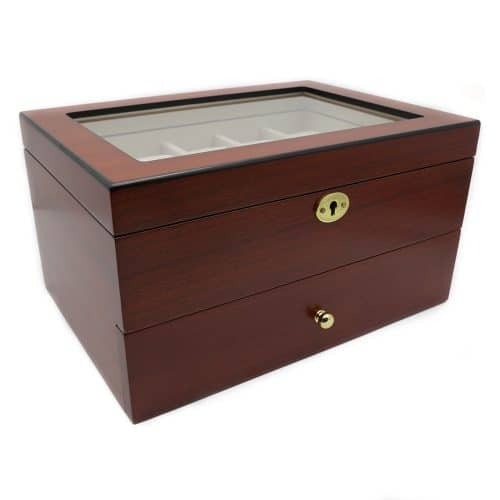 Keep your watch dust-free and protected from the elements with this elegant Platinum Mahogany Single Watch Box. 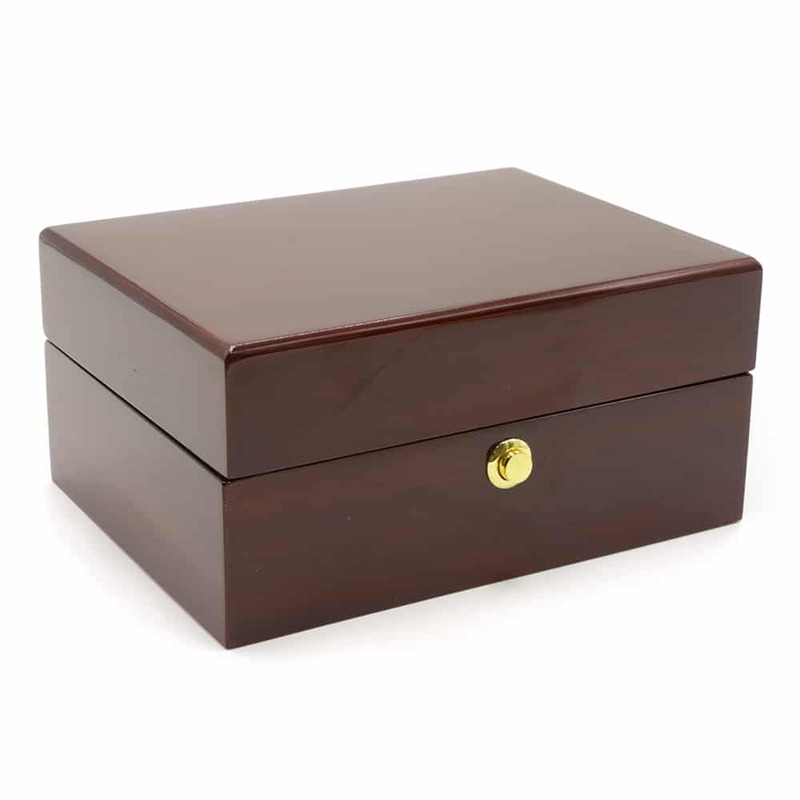 This watch box has a beautiful finish with golden features and a cream velvet interior. 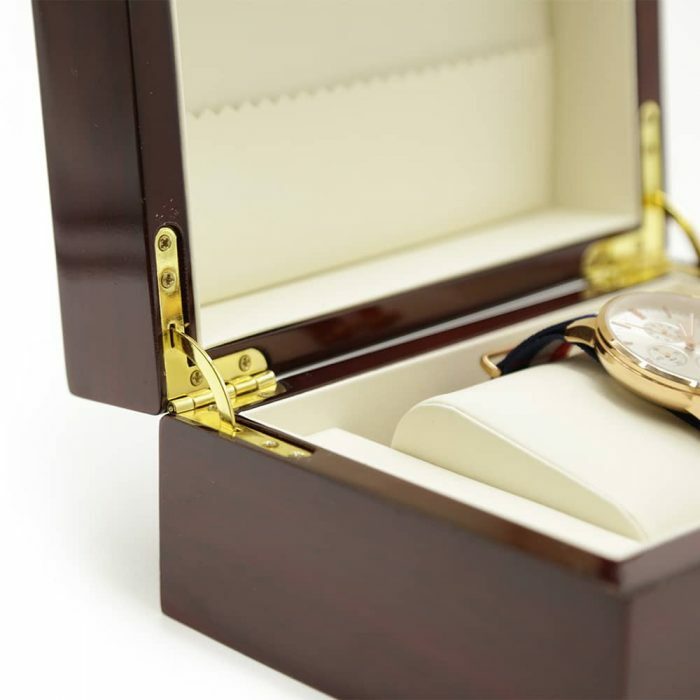 The lid has a gold push open latch to ensure your watch is safe and secure. 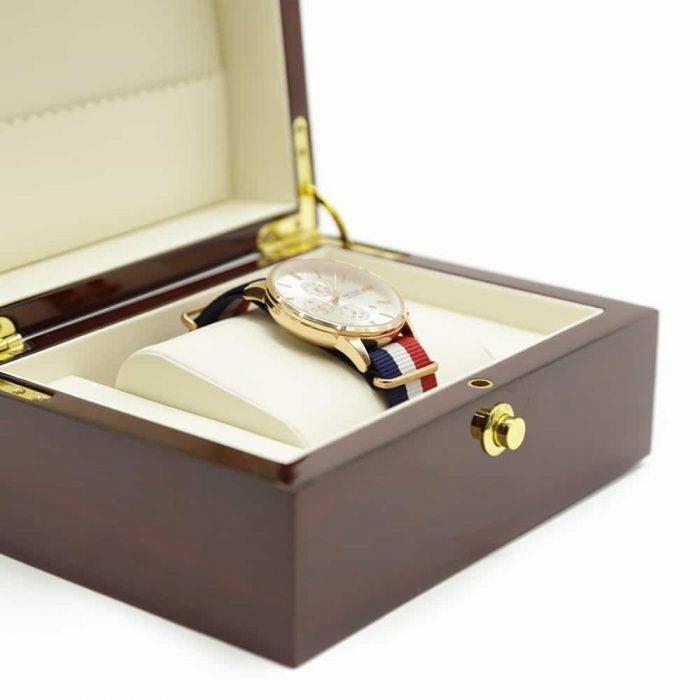 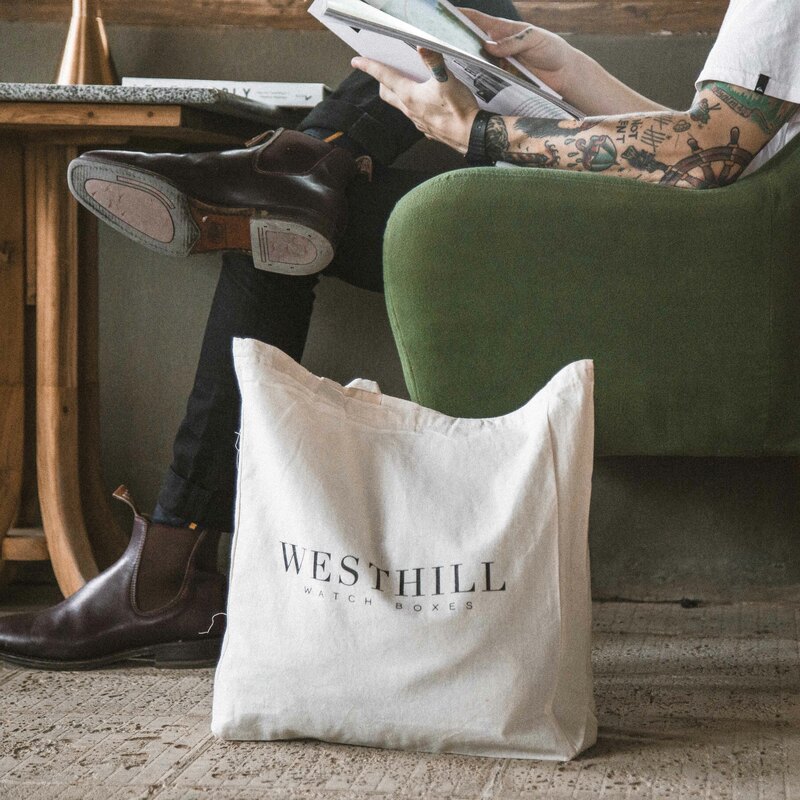 Inside, it comes with a large watch cushion allowing for standard watch sizes, watches with bigger faces, your extra watch straps or your brackets. 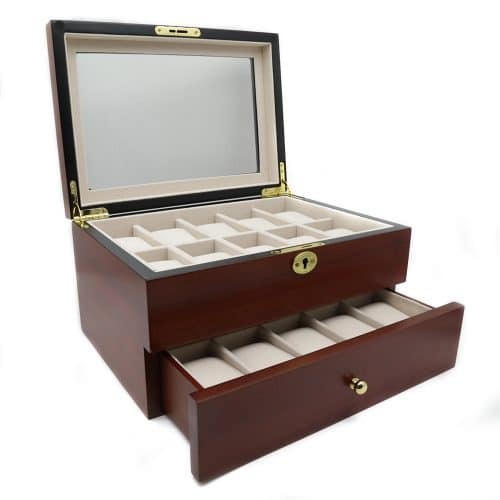 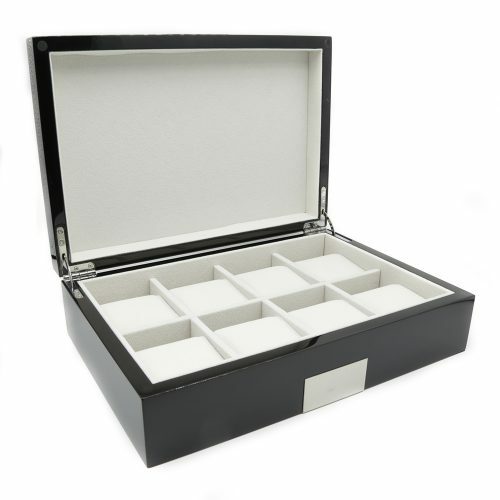 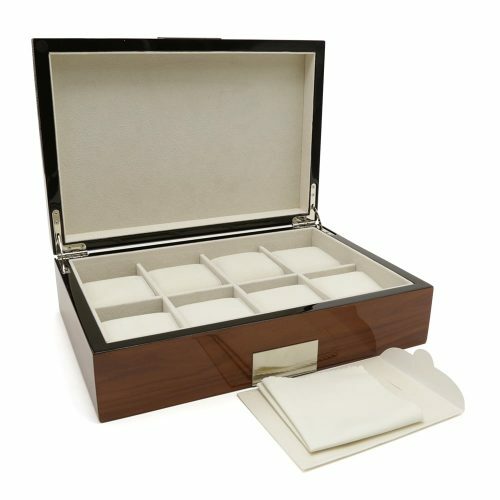 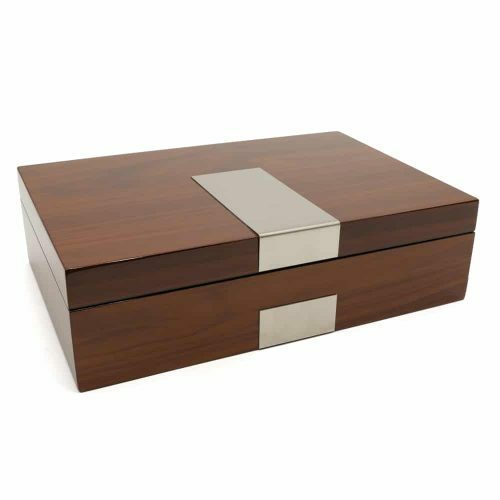 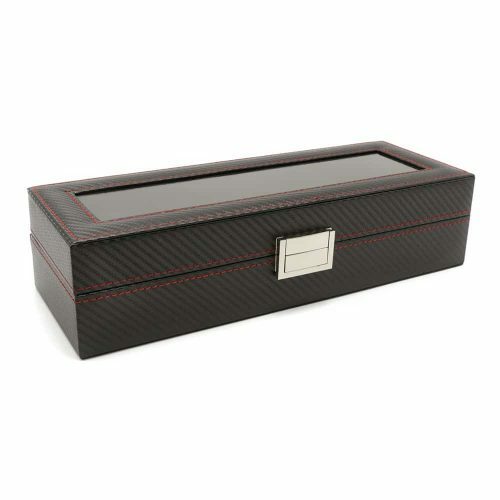 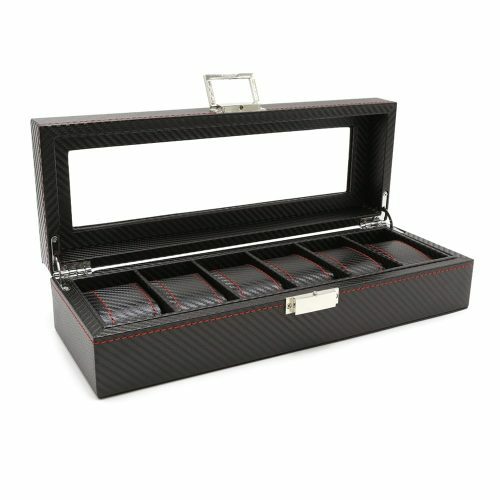 As an added feature, this watch box also has an extra storage pocket for cleaning supplies and cufflinks, rings, watch warranties and other valuables.